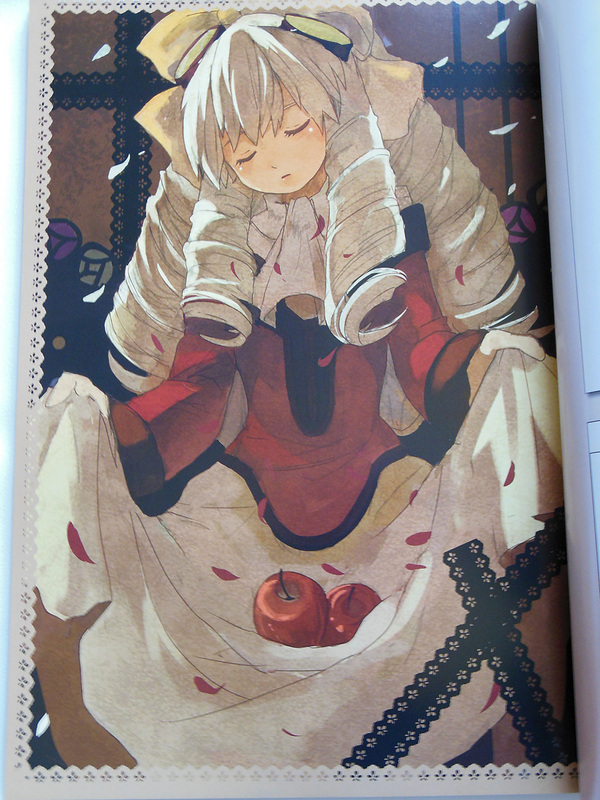 The lovely Maria Balthasar from Xenogears is presented in muted watercolours by Aogoma. You might notice the clever use of lace in the bottom right re-creates the symbolic “X”! 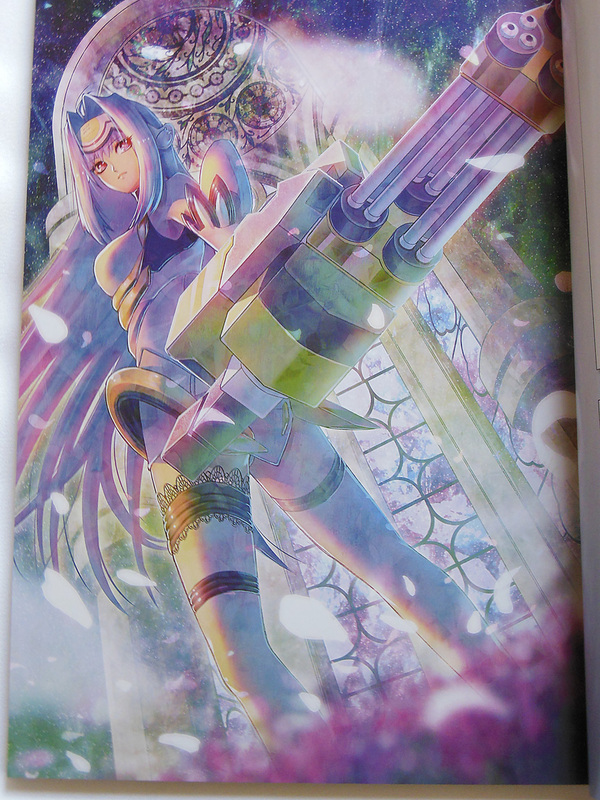 This vibrant depiction of KOS-MOS by Hiza Kozou can also be viewed on pixiv! 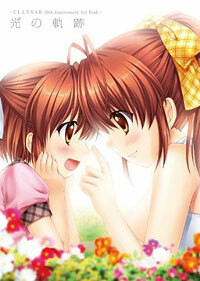 Skipping ahead a whole bunch of pages, we have Sumeragi Mikan‘s adorable shoujo-esque drawing of Margie and Bart. 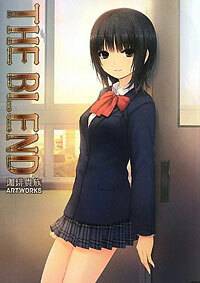 She is also on pixiv. 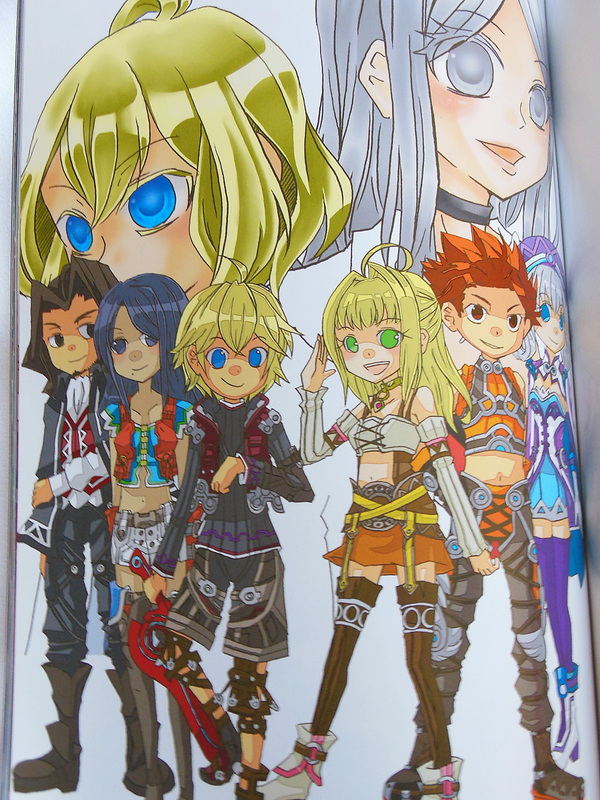 This Xenoblade contribution is by SAVE&MENU, who has both a Tumblr and a pixiv account that you can browse. 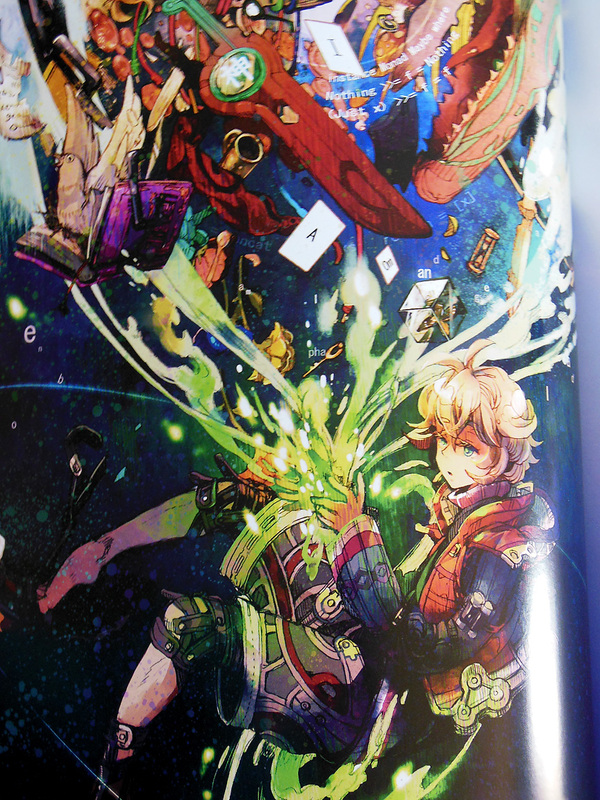 The gang’s all here in Sekigawa‘s colorful depiction of the main cast of Xenoblade. Daikichi‘s awesome KOS-MOS bears quite a bit of resemblance to choco’s original character designs, although with a less youthful appearance. 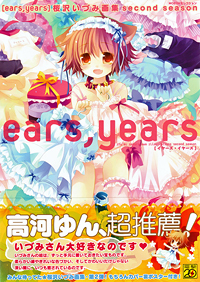 He’s got a nice high res version of this picture on his pixiv. 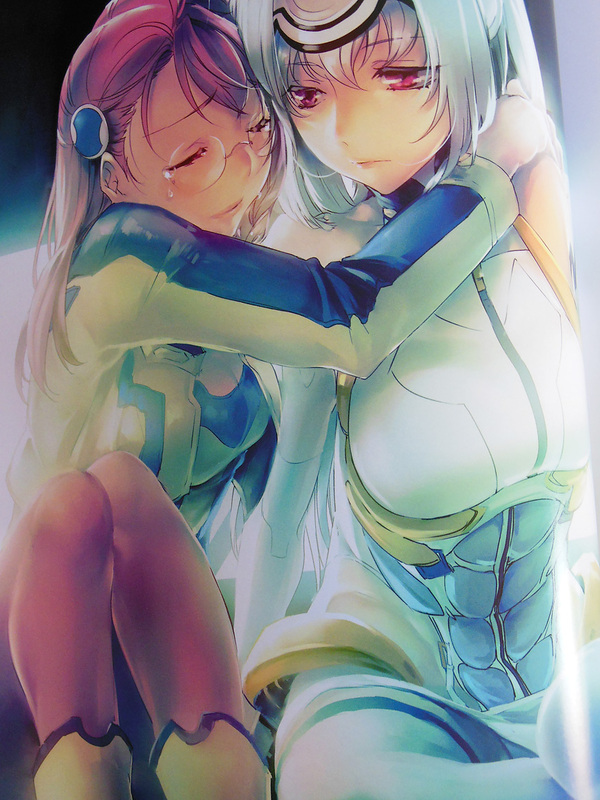 Natsumeu‘s perfectly illustrated Bart and Fei is one of my personal favorites in Chromatic Gate. 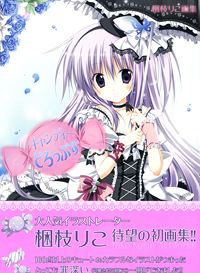 Sadly, there’s no full size digital version of this one available, but she does have this digital preview image on pixiv. 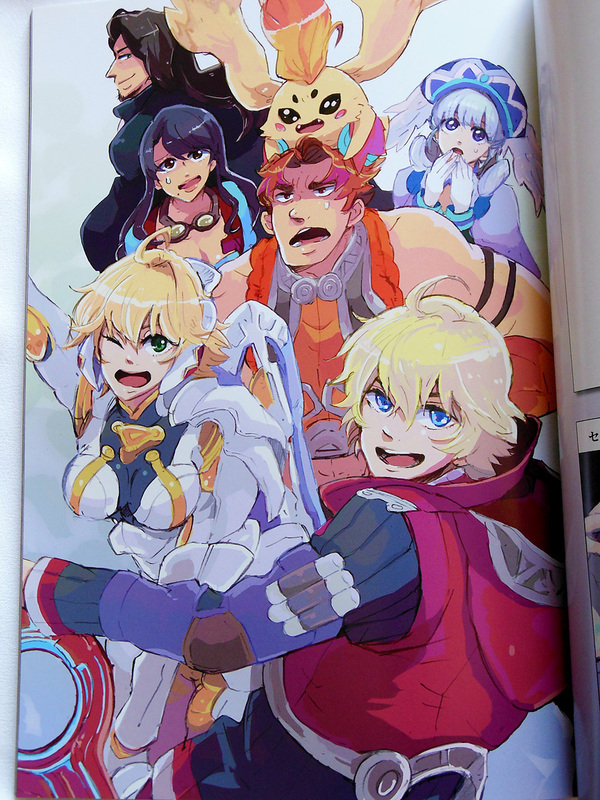 Harusame Nasusu‘s group shot of the characters of Xenoblade is done in a colorful, super-deformed art style. 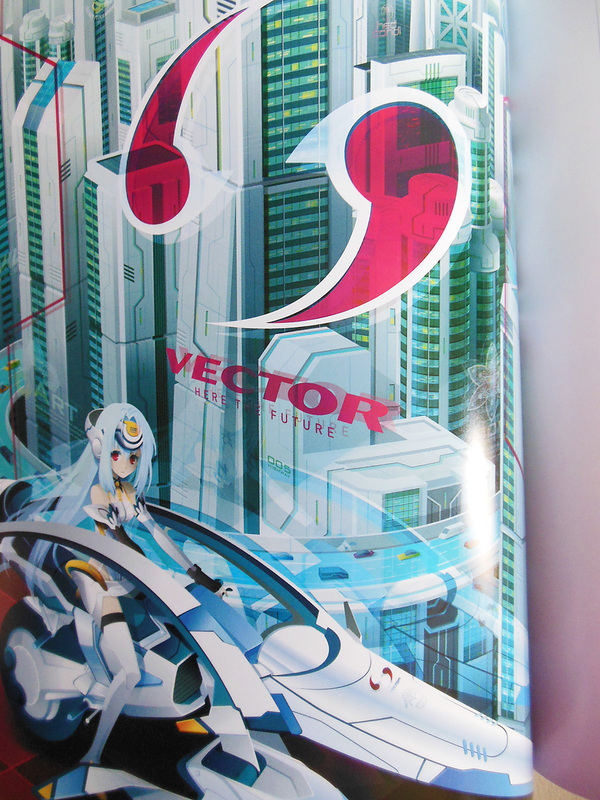 I love FUU’s lineless vector-styled KOS-MOS. If you check out his website, you’ll see that his primary passion seems to be photography of anything of an industrial nature. I believe that has really lent itself to the technical skill shown here. 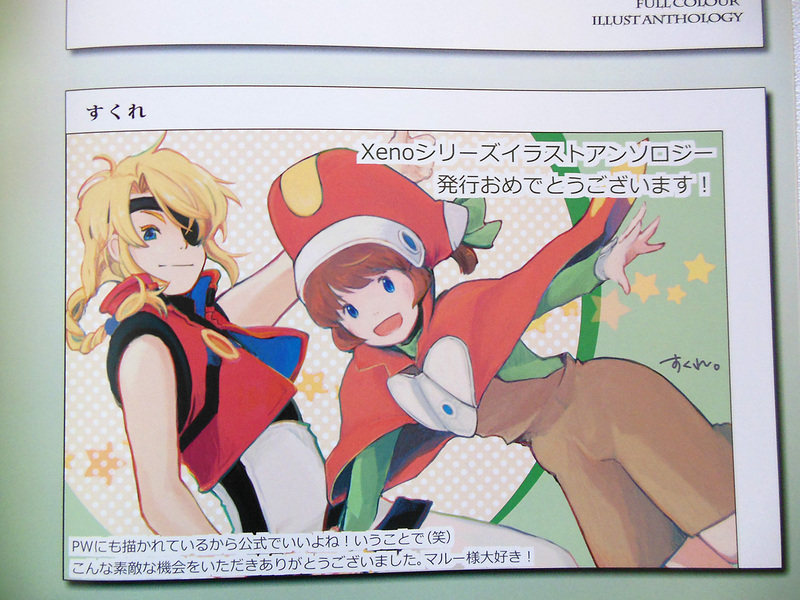 Mebu appears to be a pretty huge fan of the Xeno-series, with a website that is completely chock full of Xenogears and Xenoblade fan art. Definitely worth taking a look at! 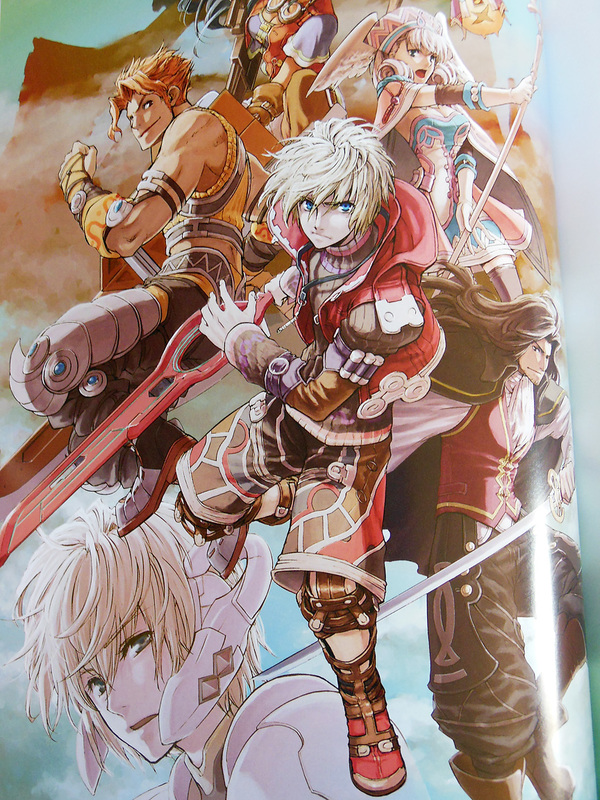 beco‘s group pic of the Xenoblade cast is nothing short of completely badass. 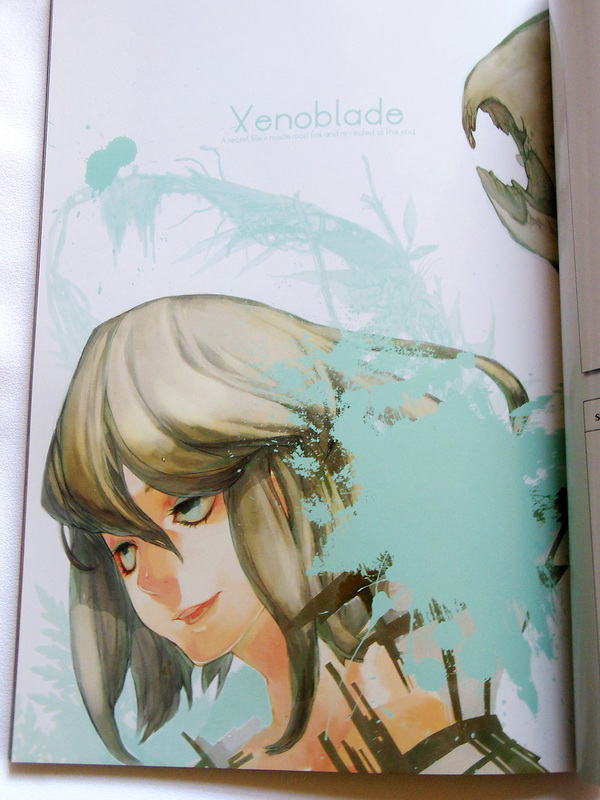 He’s also got a bunch of other great Xenoblade art on his pixiv, to boot. 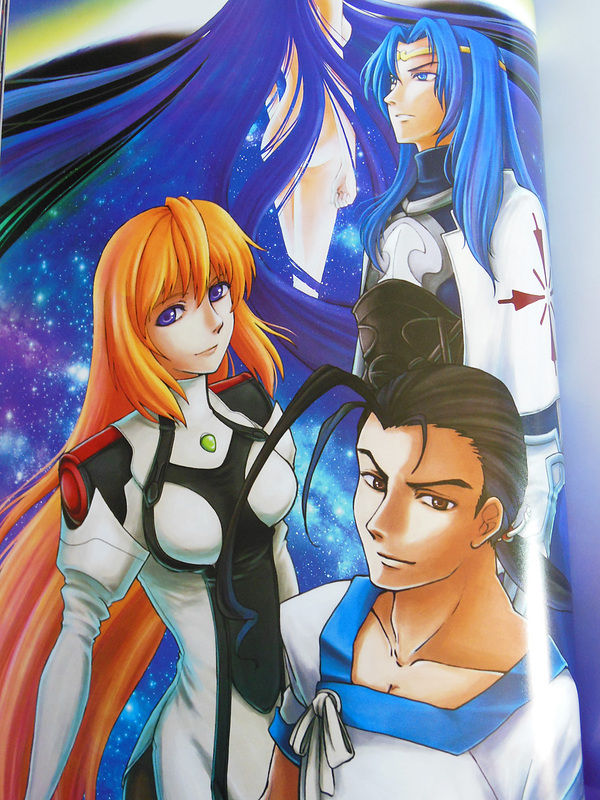 This great Xenogears piece was done by Yukitomo, who is also the one responsible for organizing the whole Chromatic Gate project. There’s something very classic-looking about this illustration to me; I think it’s the hand inked line-work. 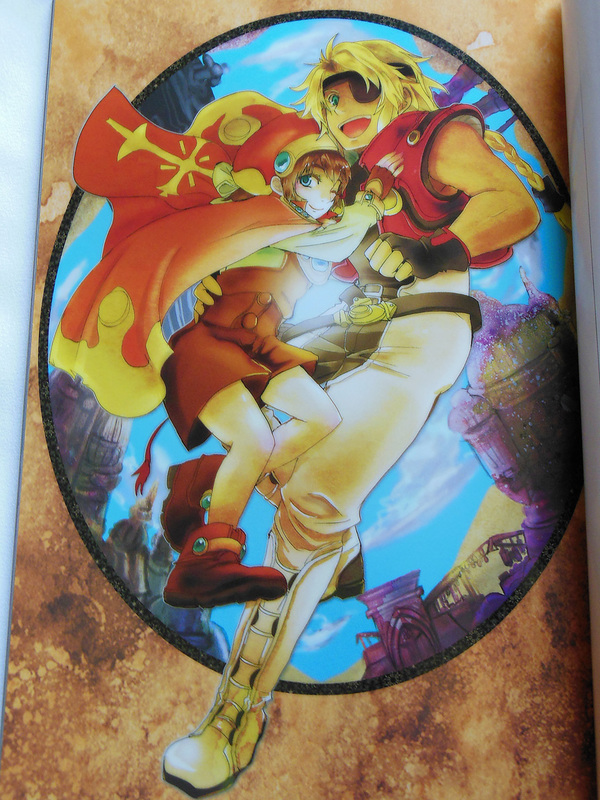 Another of my favorites is Utsuno Rei’s Fei and Elly illustration. I adore any picture of these two together, and this one is superbly done. 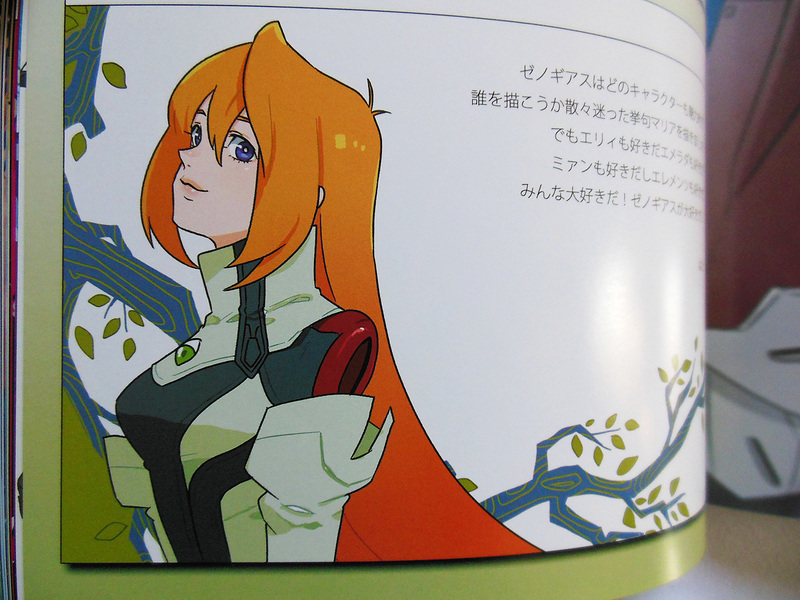 She’s got bunches more Xenogears fan art on her website, too. Billy Lee Black and his little sister Primera are quite elegantly depicted here by talented fantasy artist Fizzbuzz. 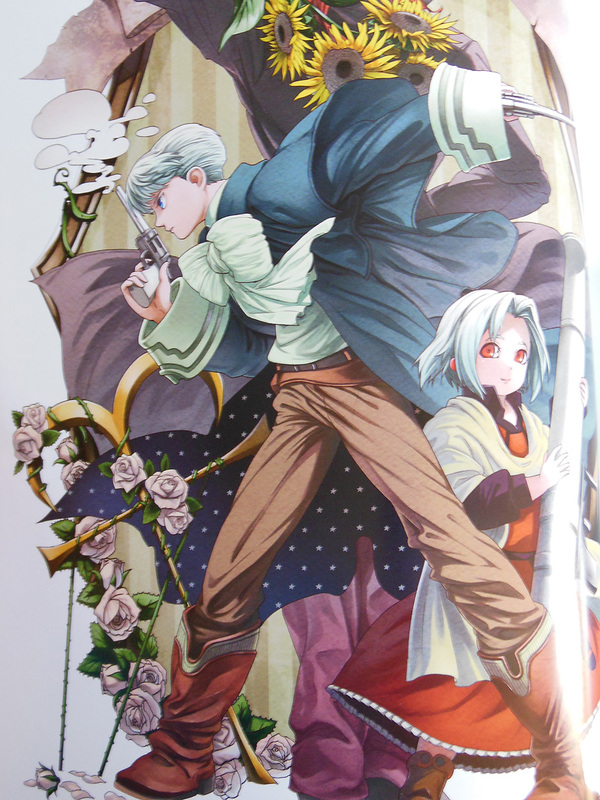 Tama‘s breathtaking Shion and KOS-MOS is the last of my “fave 3” in the book. 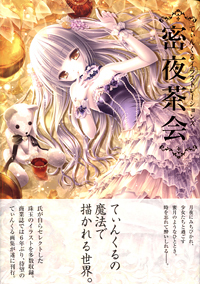 Pretty much all of her work is this mind-numbingly awesome, so definitely give her pixiv a look! 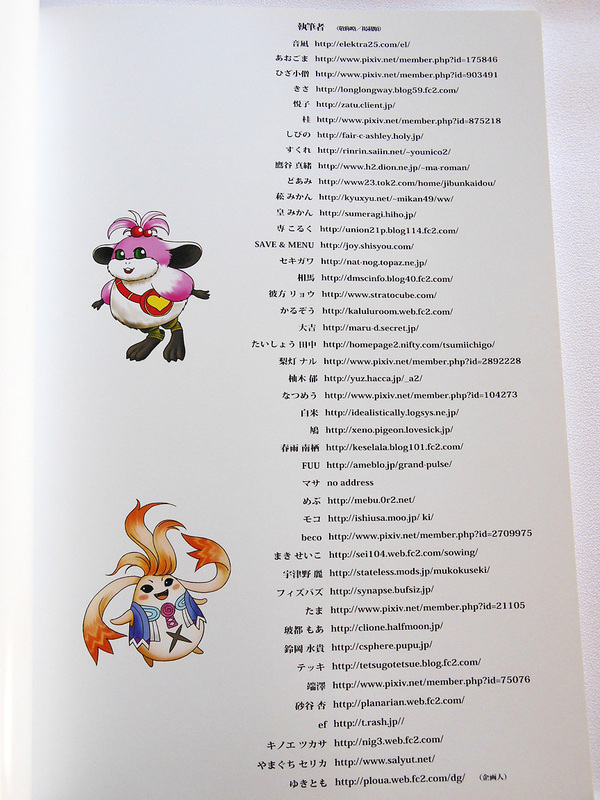 As with most anthologies, the end of the book has a page with the names and URLs of every contributing artist. Again, this is very handy for finding new talents to follow! 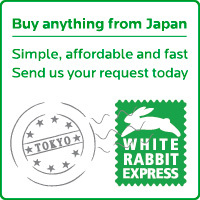 On the page opposite each illustration, there is a blank white square. 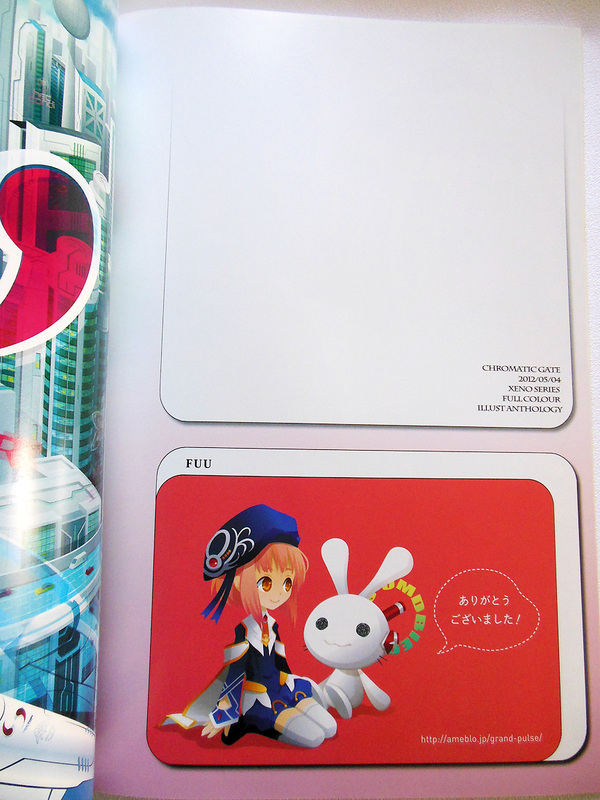 Under the blank square is a rectangular area where each artist was able to write a short comment and insert a smaller doodle to accompany their full-page artwork. This particular design decision gives me the impression that they weren’t really sure how they wanted to lay the book out, and inserted it this way as an afterthought. I think it would have made more sense to just put all of the full page illustrations side-by-side, and then group all of the half-page artist comments at the end. While I did not photograph Sukure‘s full-sized illustration, I did want to share her really cute doodle of Bart and Margie! 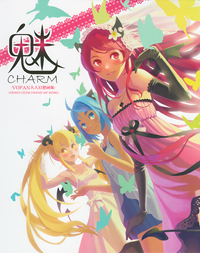 A great little Elly accompanies Hato‘s commentary. 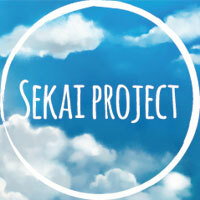 Definitely check out her website; she has tons more Xenogears fan art! 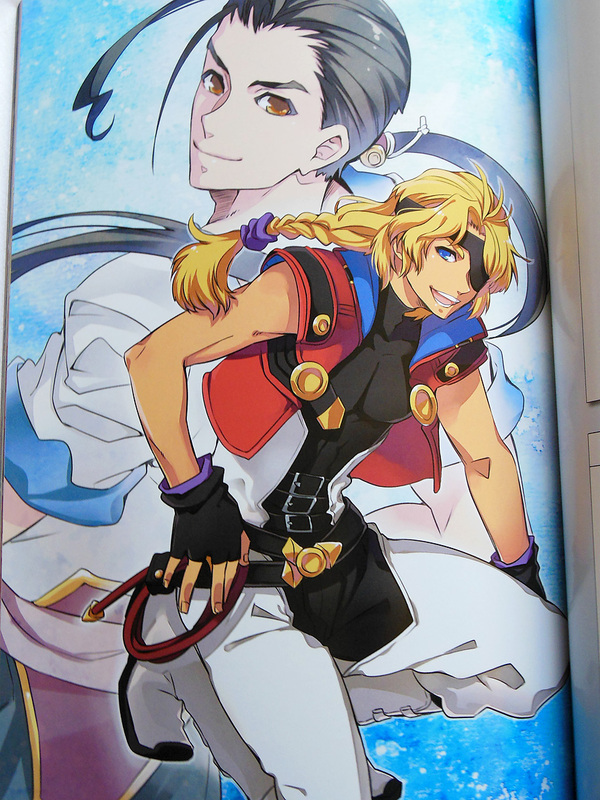 I took more photos of this book than I usually do for doujinshi, because I’m such a huge sucker for anything Xenogears. 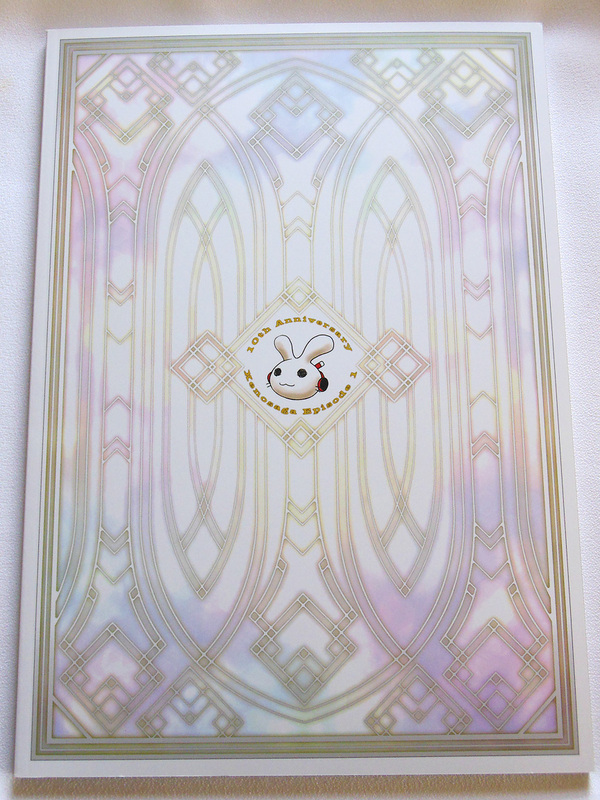 With 44 artists featured over 94 pages, I couldn’t realistically take pictures of the entire book. 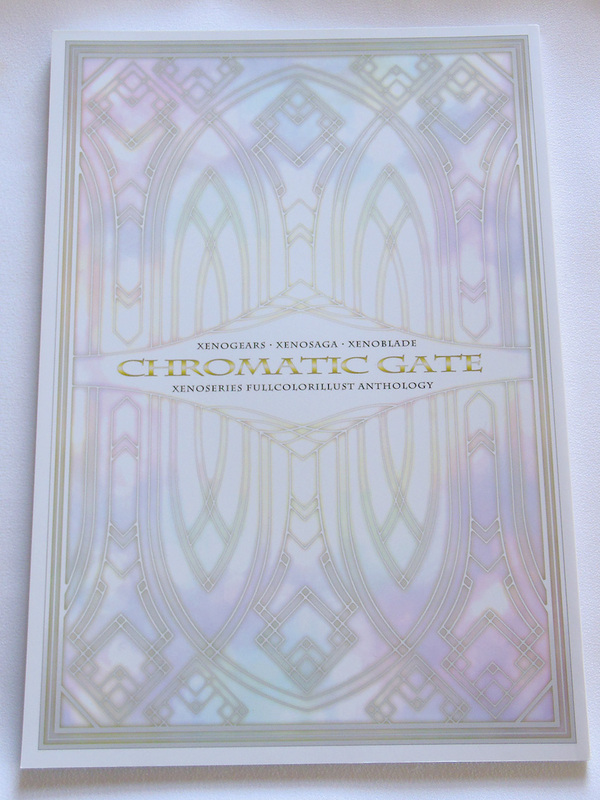 While it doesn’t appear to be in stock anymore (I got my copy from Alice Books), you might be able to dig one up somewhere like Mandarake or Yahoo Japan Auctions. 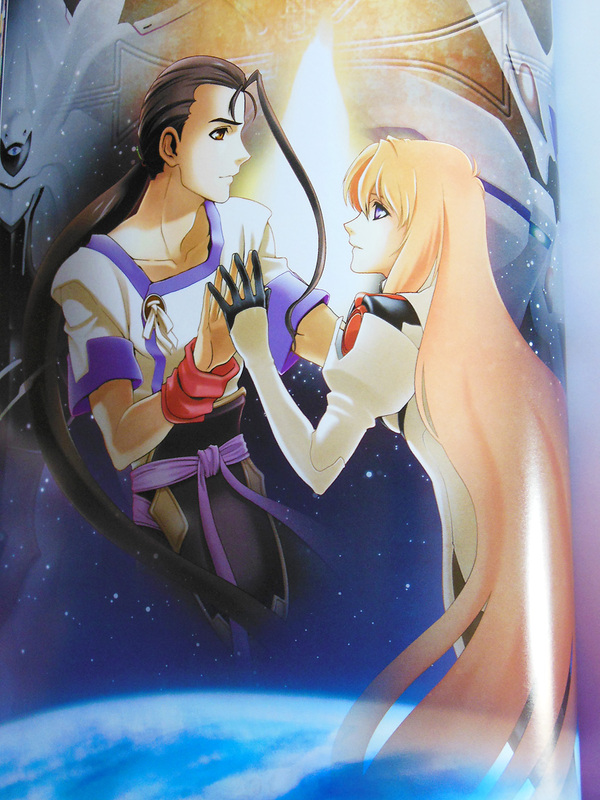 If you’re a big Xeno fan like me, it’s certainly worth looking around for; especially considering how few and far between Xenogears art in particular tends to be.